Posted on May 25, 2018 Author timscott674 No Comments on Dreaming big. Thinking big. What might you do? You have a blank canvas. You have the opportunity to build a school from the bottom up. What initiatives would you introduce to make sure there is quality learning at your school? What would your school look like? There are plenty of books any teacher or leader in international / intercultural education should read. 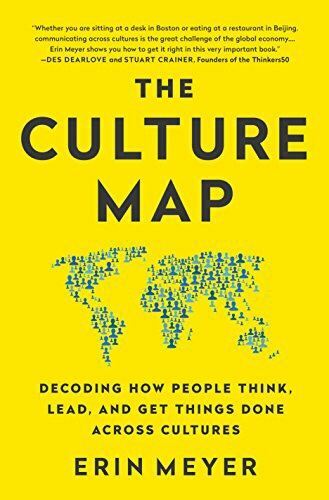 Erin Meyer’s The Culture Map is one of them. Focusing on communication styles, Mayer provides valuable insights for anyone working in any intercultural space. While this model was developed in a business context, its application to schools is pronounced, not least because it helps the teacher or educational leader nuance “the what” that is being said with “the how”; what is being communicated is being done so in a manner that is not just appropriate but it is laying the groundwork for maximising student (and indeed parent) understanding. In light of this, the scales that Meyer puts forward as a tool to help navigate intercultural interactions should not be viewed as something where you are graded either very high or very low. Being mapped onto one particular end of a scale does not mean that one is a better communicator or a better evaluator, or is a poor persuader or a poor scheduler. It is simply building a profile that provides clarity to the perspective one culture has of the world around it. How many times has the planned lesson turned out completely differently because of the interest of your learners and what they deemed to be important in the lesson? How different a lesson might that have been if you had not listened to your learners and gone with them? How many times have you seen a learner’s research project go in a completely different direction to what he or she told you it would? They were convinced that their research would arrive at point A, but in reality it’s final destination was points. D, E or F.
In teaching and learning, we have an obsession with keeping things neat and tidy. Yet the day-to-day in the classroom or the principal’s office is far from ordered. In education, each and every day, we work with complex and unique individuals – and here I am actually thinking about the learner, although this can also apply to parents and teachers. The fact is that we work in and amongst chaos. Here’s the thing: it is a peculiarity of working in education that we can only accept the existence of the chaos in which we work if it conforms to an order and discipline completely opposite to what actually defines it! It is a challenge for us to embrace that chaos authentically, to allow learning to be messy, and to see what happens. Posted on May 8, 2017 Author timscott674 No Comments on Are school leaders ever thanked? 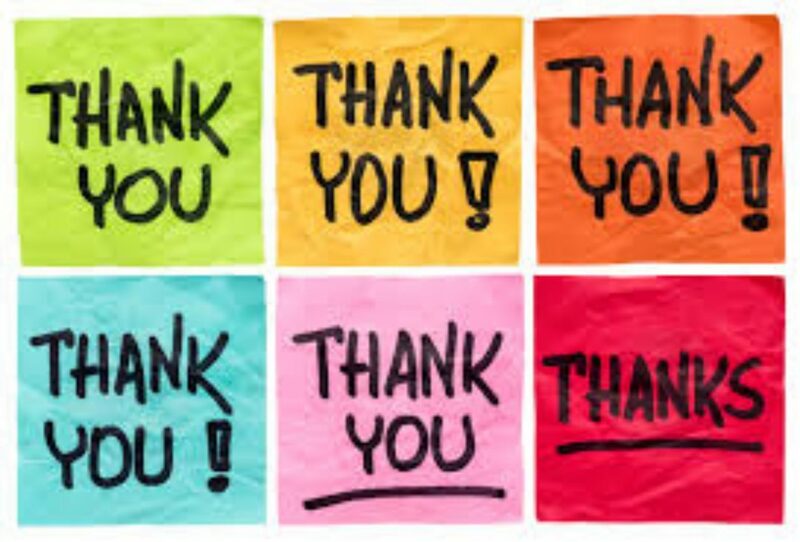 Does being servant-minded in one’s leadership (the preferred style of leadership, I would hazard, in schools) preclude a “thank you” every so often? I’m going to leave that thought there. 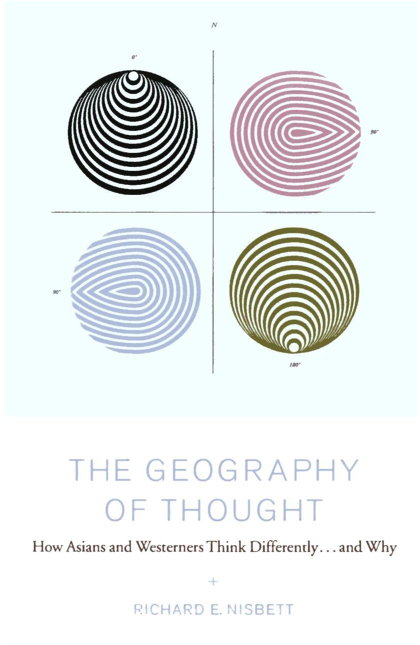 I was at a symposium a couple of months ago and during one of the sessions, The Geography of Thought was referenced. The presenter was quite emphatic about it being a key text for anyone involved in international education and, having finished reading it recently, I would have to say I completely agree. This particular post is a bit of a book review, to be sure, but also a recommendation for anyone who works in education. It is not a book that can be claimed alone by international schools: national schools also have a great deal to learn from what Nisbett has to say about how people think and perceive the world around them. The West’s perspective is described as Aristotelian and the East’s is described as Confucian, a reference to the philosophers who have had the most impact on those broad geographical regions of the world. The differences between the two perspectives is central to Nisbett’s discussion. In Chapter 1, the philosophy, science and societies of Ancient Greece and China are covered, providing a historical foundation for Nisbett’s argument. The following chapter focuses on the implications of these foundations to Western and Eastern world perspectives. Chapter 3 contends with the notion of “the self” and how West and East construct the individual and community. Starting with six generalisations that are considered to be the Western conceptualisation of “the self”, Nisbett explores how the Eastern view differs. The notion of one’s social existence and what that means for how people literally see the world is covered in the following chapter. How the idea of cause and effect, language and logic have impacted Western and Eastern perspectives and interpretations form the basis of chapters 5, 6 and 7 respectively. Chapter 8 answers the “so what?” question: how and why do the number of differences between Westerners and Easterners found in almost every study undertaken by Nisbett actually matter? Ultimately, Nisbett’s own perspective on the matter, presented in the Epilogue, is “situational”. Describing Nisbett’s perspective as “situational” is to say that Nisbett attempts to present a middle ground. …We all function in some respects more like Easterners some of the time and more like Westerners some of the time. A shift in characteristic social practices could therefore be expected to produce a shift in typical patterns of perception and thought. Aspiring to a more “situational” perspective gives Nisbett a starting point to conclude with his hopes for both the socio-intellectual frameworks that he has spent the better part of 230 pages describing. Nisbett hopes that the best of both cultures will prevail as each moves towards the other and, in the process, have a transformative relationship. Western and Eastern social and cognitive aspects can contribute to a blended mode of thinking that will have a positive impact on the world at large. This is why this text is so important to education, national or international. 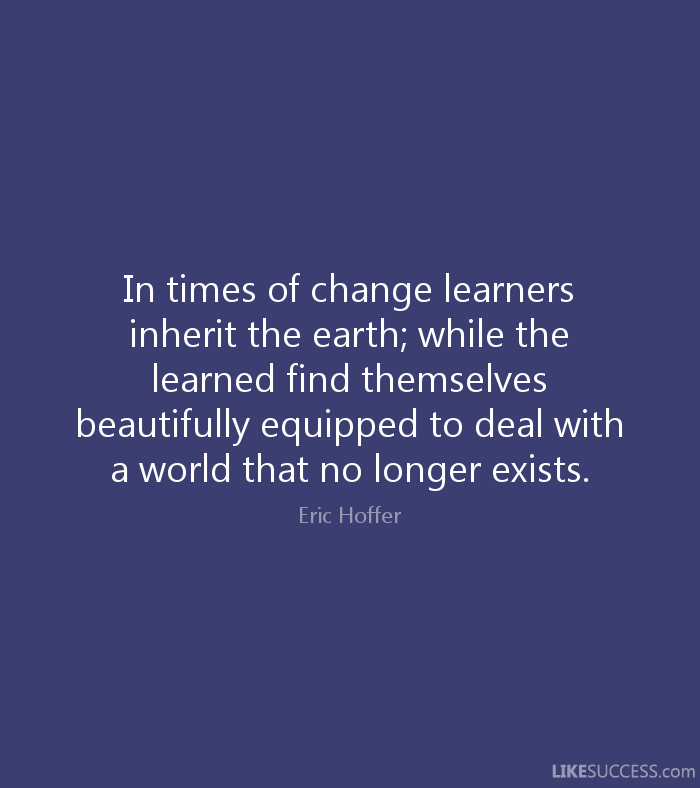 As the world becomes increasingly interlinked, it is crucial that teachers can show students how to navigate the newer, ‘smaller’ environment and to do so responsibly, ethically and positively. This text is an excellent starting point for teachers to build up their capacity to grow intercultural competencies within their students and to have an impact on the world beyond their school’s front gates. International mindedness or intercultural mindedness? Is it easier to practice or “do” one than the other? Can one assess international mindedness more easily than intercultural mindedness, or indeed at all? 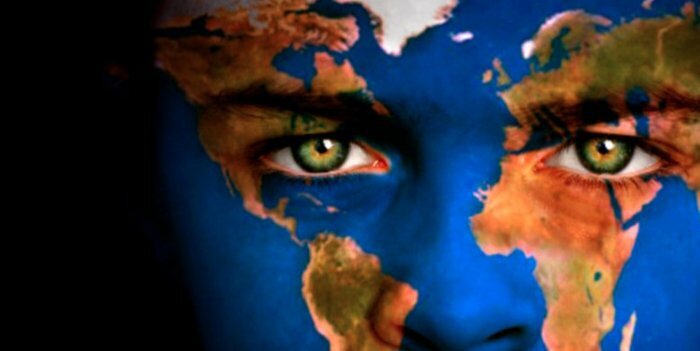 International or intercultural: both terms sit at the centre of international schooling. They are used synonymously but is there one that is more appropriate? In a recent research report conducted by the University of Bath, commissioned by the International Baccalaureate Organisation, on international mindedness, it became very clear that the term “international mindedness” was contested. Over the sample group of schools that were examined by the University of Bath research team, the term “international mindedness” was defined in a broad set of ways. It was framed as a way of acting, a way of thinking, a mind-set and a way of living, to name a few examples. A common thread that emerged in what the sample schools revealed was that the conceptualisation of “international mindedness” was intensely relational; a concept forged in relationships. Parents also centred their definitions on the notion of international mindedness as an ultimately relational concept. “International mindedness” was determined to be something ultimately based on “reaching out” and “reflecting in”. In the report, “reaching out” was often described in terms of listening to others, understanding others, valuing other perspectives, respecting others, not judging others, accepting others and being open-minded and open to other perspectives. “Reflecting in” referred to both staff and students knowing themselves and their cultures. This meant knowing one’s own culture and mother-tongue, having a sense of one’s own values, interests and opinions, as well as an awareness of one’s own abilities and weaknesses, and an acceptance of one’s past and background. I suspect this is where the idea that “international mindedness” might be replaced by “intercultural mindedness” (or words to that effect) comes from. The term “international” has connotations of the “nation-state”, of being related to the idea of polities engaging with one another. Extending this to the notion of “mindedness”, which could be also understood to mean “disposition” or “inclination”, and then positioning it as a significant anchor point for international schooling makes for too narrower a claim for the purpose of education in this day and age. Is it redundant to perceive (one of) the purpose(s) of international education as the promotion of international mindedness, which ultimately is referring to the interaction of nations (as opposed to the people of those nations), at a point in world history that might be identified as transnational? The view being put forward here is that perhaps international education is now intercultural learning by another name. In a world that might be currently characterised as transnational, when one calls for greater international mindedness perhaps what is being referenced is the interaction of people. In other words, international education is about understanding how the world interacts with itself not just on the level of the nation-state but, more critically, on the level of the people who make up the different constituent cultures of that nation-state, and potentially others at the same time. Elisabeth Barratt Hacking, Chloe Blackmore, Kate Bullock, Tristan Bunnell, Michael Donnelly, Sue Martin (2016) The International Mindedness Journey: School Practices for Developing and Assessing International Mindedness Across the IB Continuum Department of Education, University of Bath. Teaching is an emotional profession. Whether one is in the classroom teaching history or leading the school through a busy week, teaching is emotional. There is plenty of research that indicates the need for a decent level of emotional intelligence when it comes to working in schools and this is certainly the case when one is the school’s lead learner. School leadership and emotional intelligence go hand in hand. This is particularly the case when one is talking about change in schools and how a leader manages the process. If one can be tuned in to the emotional wavelength of those that they lead, especially through any degree of change, a school’s leader can gather information that will be helpful in walking through any transformative journey. Palmer (2003) suggests that an emotion is not just something that is felt but it is, in fact, a source of information. It is not just on account of useful information that can be gleaned for the benefit of a change management process that we find emotional intelligence critical to the work of school leaders. Literature points to emotional intelligence being useful in transforming schools from good to great, effecting positive changes in schools that stick (Beavers 2005; Buntrock 2008; Fullan 2001; Moss 2008; Moore 2009; Patti, 2007). There is a focus on the constituents within the school, the faculty and staff. This post is briefly about the importance of emotional intelligence for school leaders when interacting with another key constituent group: the parents. Emotional intelligence is a very important part of the school leader interacting with the broader school community. Being able to quickly deduce from the behaviour of a parent their state of mind so one knows what course of action one might suggest, what phrases or key terms to use, or, even, the type of tone in one’s voice can be the difference between a successful meeting or a complete disaster. Crucially, strong emotional intelligence will help to cut through the emotions that parents can bring to a meeting so that the real issue is laid plain for all to see. Let us take the following as an example. A mother speaks to a principal about how her son is going at school. Emotions are running high because of the concern that the mother has and the fact that she strongly believes that the school is prejudiced against her son. She has itemised a number of instances that, to her, appear to support her claims. This has led her to make “requests” of the school that they communicate with her whenever there is an issue with the son. The mother has also implied that the faculty at the school are not professional in carrying out their duties in the classroom. For me, the last issue would really rile me. To accuse members of faculty of a lack of professionalism, particularly without the opportunity to look into the matter more carefully, is not something I am keen on. Nevertheless, a leader with a higher degree of emotional intelligence would be able to read the situation for what it is: a need for reassurance that the school will partner with the mother in working alongside her son to improve his progress and general experience at school. All done without assigning blame or assuming that there is someone to blame. Being sensitive to the emotional well-being of the parent is something that clearly helps in this small example. It is not the only thing that a school leader would have to do, however, for a successful resolution to this parental visit. I would think that speaking to the teacher concerned to find out more would be expected. Nevertheless, emotional intelligence, as a concept, implies that one processes a particular type of information into something that is actionable and useful, something that is objective and fair-minded: practical empathy. Beavers, M. (2005). Emotional intelligence, school leaders and high performing high poverty middle schools in the state of Virginia. Unpublished doctoral dissertation. Virginia Commonwealth University, Richmond, Virginia. Buntrock, L. (2008). Differences in emotional intelligence abilities between principals in high poverty AYP schools and principals in high poverty non-AYP schools in an urban school district. Unpublished doctoral dissertation. University of Virginia, Charlottesville, Virginia. Moore, B. (2009). 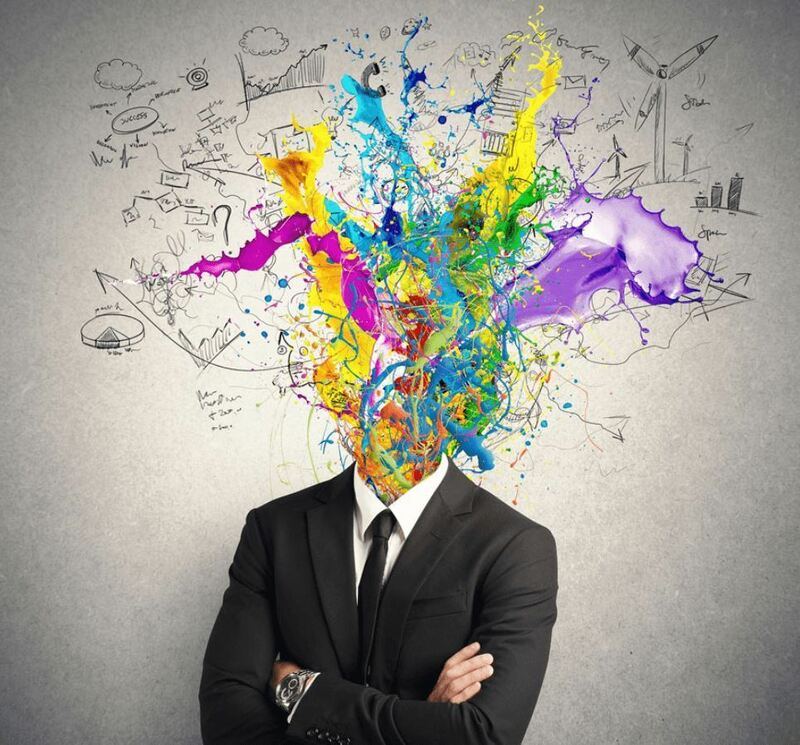 Inspire, motivate, collaborate: Leading with emotional intelligence. Westerville, OH: National Middle School Association. Moss, M. (2008). Implementing the middle school concept in the age of accountability: A field study of leadership decisions and practices in successful NYC public middle schools. Unpublished doctoral dissertation. Teachers College Columbia University, New York. Palmer, B. (2003). An analysis of the relationships between various models and measures of emotional intelligence. Unpublished doctoral dissertation. Swinburne University, Victoria, Australia. Patti, J. (2007). 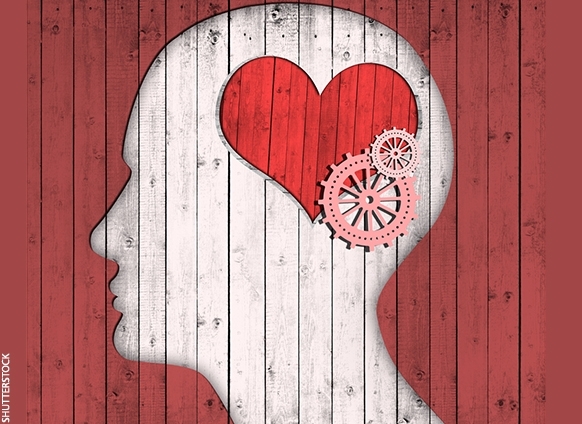 Smart school leaders: Leading with emotional intelligence. Presentation at the First International Congress on Emotional Intelligence, Malaga, Spain: September 21, 2007. Whether one works in a national school or an international school, it is very easy to find oneself in a vortex of being busy all the time. Meetings after meetings, issues after issues, crisis after crisis – all demanding one’s attention and all demanding that they be treated as “Priority 1”. One of my colleagues refers to this as “the tyranny of the urgent”. In leadership, it is even more likely to succumb to the tyranny of the urgent but it is very important (a) not to and (b) be aware when it is emerging in one’s work environment because this sort of tyranny is one whose arrival can be insidious. So, how does one counter the emergence of the tyranny of the urgent? This might well appear to be an impossible act, particularly where schools are involved. The expectations placed on school leaders by staff, students and parents makes for fertile ground for such tyrannies. The rise of information communication technologies has also added a super-fertilizer to the soil. I would hazard that one of the chief culprits of upping stress levels in a school leader’s life is the increased level of accessibility that schooling today now demands. Increased levels of expectation framed by an increase in accessibility (or perhaps expected accessibility) make for an interesting work environment but one where it is unrealistic to go “cold turkey” and completely disconnect from the world. 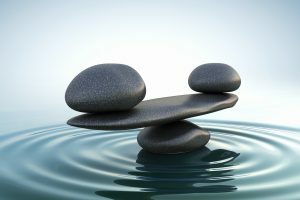 That leaves school leaders in, potentially, a less-than-satisfactory situation as far as their work-life balance is concerned. If a school leader’s health and well-being is suffering, what might the impact on the school as a whole be? How can balance be addressed? To combat the stress that the tyranny of the urgent can create, in this day and age, a frontal assault is probably not the best strategy. One might have to adopt more of a “fifth column” approach and attack the situation from within. In other words, rather than doing what is neither feasible or realistic in today’s world, being situational in dealing with the stresses and strains that ‘regular urgencies’ might be a better solution. Vary your route to and from work. It can help control anxiety and reduce the sense of getting back on the same rollercoaster. Small changes in routine can be enough to break the negative patterns of thinking that we can get ourselves into. To-do lists: Try dividing the page each day into “must”, “should” and “could”. You will never get it all done but you usually leave work with the satisfaction of knowing that everything in the “must” list has been completed. Keep a list of all the unplanned things that take up working time each day, e.g. meeting with parents, phone calls and answering emails. It is re-assuring to see at the end of the day what you have achieved, even if some of it was unscheduled. Be realistic about what you expect to achieve each day. There will always be unplanned interruptions. Try to factor this in. To help with focusing on the positive, keep a diary and write down three positive things, however small, that have happened each day. You go home thinking about the positives. In those difficult meetings with complaints from parents, try to de-personalise the issue. It is very rarely about you personally. Try to unpick what feelings and emotions might be underpinning a complaint before the meeting starts. Try to find a professional outlet for your expertise outside of your own school, e.g. volunteer to co-ordinate your cluster heads meetings. You see the wider educational landscape which helps to keep things in perspective. Find a trusted friend outside of your immediate professional circle and talk to them, honestly. We all need someone outside of a situation to challenge our perceptions. Try to maintain an outside interest or hobby. 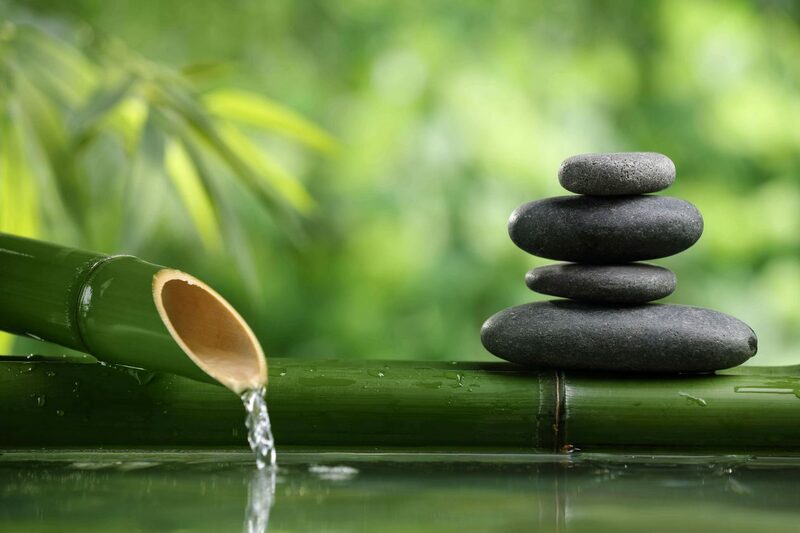 We need mental distraction from thinking about work in order to relax. Sleep is key. There are many free apps for phones and tablets with ocean wave sounds. They trick your breathing pattern into a relaxed rhythm allowing you to sleep. From my own context, working in a cross-cultural context, in an international school adds a little twist to the nature of stress as a school leader and the need to take care of oneself. There are always multiple cultural layers to what one observes, which in turn complicates both interpretation and subsequent action. Each of these strategies is just as important and applicable. This post has been about the need to be aware of how stress can creep up on school leaders and what might be an approach to deal with that problem. By way of a coda to this post, it is important to address the impact that the tyranny of the urgent can have on a school’s staff and students. This could be the subject of a post all its own but as this is a coda on the topic, let us accept the main point here to be this: school leaders are role-models. As role-models, a school leader’s and experience with the tyranny of the urgent is something that is a shared experience with other members of the school community (whether the school leader wants it to be or not). To that end, it is even more important that an awareness of the stress and strains that come with being in education, and that they must be kept under control, is not just held by a school leader but demonstrated at all times. After all, what sort of message is sent to the broader school community if the school’s leader does not exhibit wisdom in this matter? Today is International Mother Language Day. Established by UNESCO in 1999, and formally recognised by the UN General Assembly in 2008, International Mother Tongue Language Day functions to promote awareness of linguistic and cultural diversity and multilingualism. For UNESCO, such awareness positively contributes to global citizenship, enabling our learners to play an active role in both local and global arenas to address global challenges and, ultimately, contribute proactively in creating a more just, peaceful, tolerant, inclusive, secure and sustainable world. 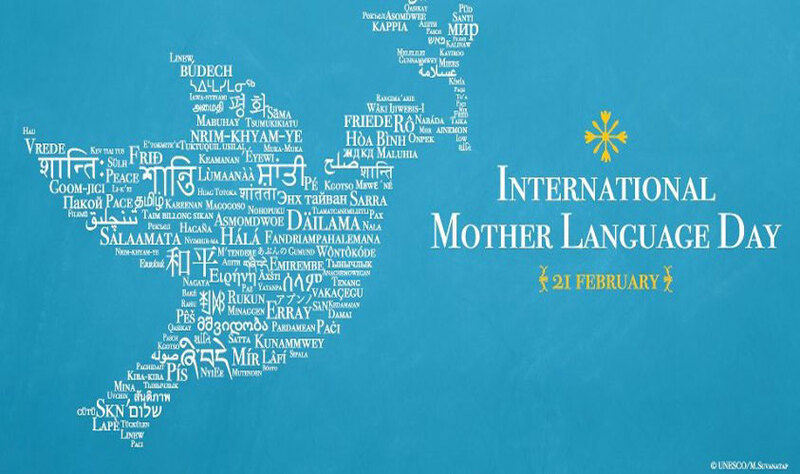 If nothing less, today should be a reminder about the importance of mother tongue or mother languages. It might be a trite thing to say but for our learners, regardless as to whether they are in an international school or a national school, language is important. It is the means by which our learners express themselves. A learner in Grade 1 has the same experience with language as a learner in Grade 10; language structures their thoughts and identities. There is an emphasis on the quality of teaching and learning with a focus on understanding and creativity. The teacher has to ensure that what is going on in the classroom will promote understanding (of whatever content or concepts are being taught). There is a reinforcement of the cognitive aspect of learning because facilitating a learning environment that supports a learner’s mother tongue ensures the direct application of learning outcomes to the learner’s life through the mother tongue. There is an authentic understanding that takes place about whatever it is that is being taught. An enhanced dialogue and interaction between learner and teacher is allowed to take place. Promoting a “mother tongue friendly” environment from the very first day of classes allows genuine communication from the beginning. The learner sees the teacher as taking an interest in their cultural heritage and the teacher has a better capacity for reaching the student. 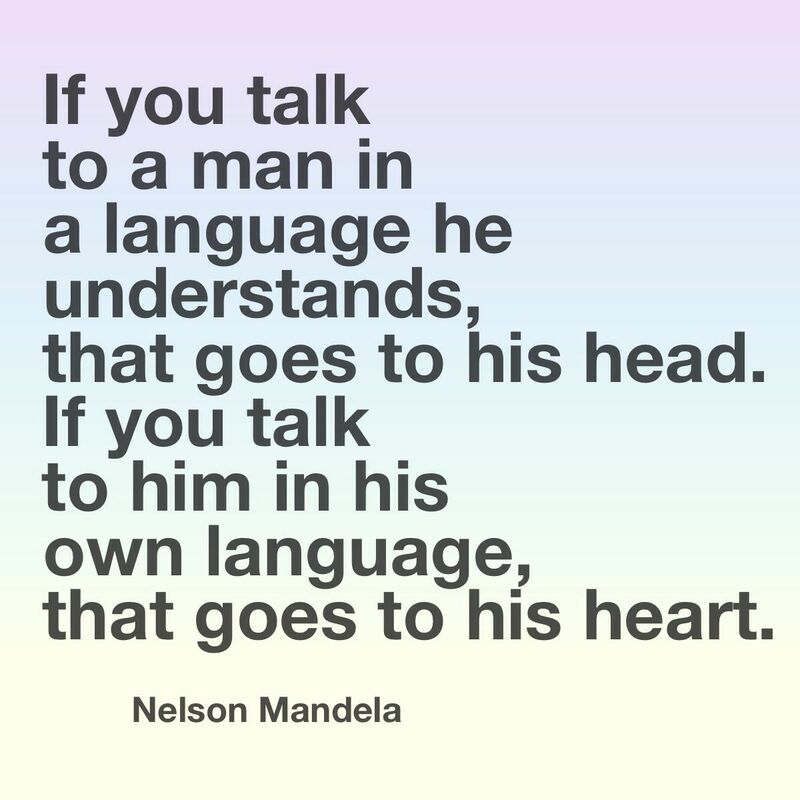 Mandela’s quote on language and the difference between understanding and meaning is an appropriate endpoint to this (very) brief exposition on mother tongue and International Mother Language Day. Celebrating the diversity in language heritages in one’s classroom or school may contribute to creating an environment whereby learning takes place, opportunities for communication and interaction exist, and global-mindedness is fostered. These are good things. I want to posit that ensuring that the diversity in languages in one’s classroom or school is meshed into pedagogical practice might well take things further. Rather than just going through the motions of learning and interacting in different contexts, hearing what one is to learn in one’s own language (even if it is just key concepts) could encourage a sense of ownership of the learning process. As we seek greater degrees of global citizenship and international-mindedness, having individual learners take on the ownership of the processes that seeks to promote these concepts cannot be a bad thing. If you are interested, you can find out more about this year’s International Mother Tongue Language Day here. Posted on February 13, 2017 Author timscott674 No Comments on Is your school perfectly prepared for a world that no longer exists? Is your school perfectly prepared for a world that no longer exists? At a recent teachers’ conference, I attended a session on the future of teaching and learning. It was a roundtable discussion session and started with a number of different questions for people to consider. The summation of those questions, which focused on assessment, on teacher qualification, on the relevance of schooling in this day and age, is the question that leads off this particular post. Be it a national school or an international school, the question is pertinent: as a school, are we perfectly prepared for a world that no longer exists? While a roundtable discussion can be a useful exercise, I did walk out of that particular session thinking how one might actually start a process of investigating this core question of being prepared for a world that no longer exists. Certainly, coming up with an answer is a self-reflective exercise. And starting the process is as daunting as it is uncertain. I would hazard to say that it is also exciting. 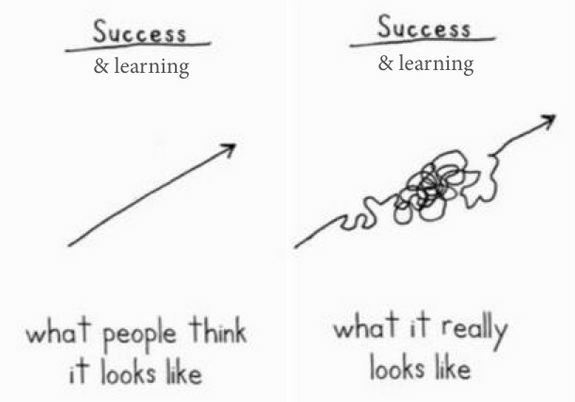 What does everyone need to learn now to be successful? How should we learn all this? How is 21st century learning different from learning in the 20th century and what does it really look like? How will 21st century learning evolve through the century? How will a 21st century learning approach help solve our global problems? Question #1: What will the world be like twenty or so years from now when your child has left school and is out in the world? Question #2: What skills will your child need to be successful in this world you have imagined twenty years from now? Question #3: Now think about your own life and the times when you were really learning, so much and so deeply, that you would call these the “peak learning experiences” of your life. What were the conditions that made your high-performance learning experiences so powerful? Question #4: What would learning be like if it were designed around your answers to the first three questions? The four question exercise, as it is called, is a great way of facilitating a discussion on the state of things in one’s school. It doesn’t purport to provide a strategic plan or some form of roadmap that provides the user with continuous school improvement. It does help leadership teams or teaching teams or those in between to see differences. It walks people through a discussion that will have its end point in: how different a place is the school you work in compared to that which you have just imagined? In light of the answers to the above questions, to what degree is your school perfectly prepared for a world that no longer exists?